I was delighted when the director of Team Change & Transformation at METRO Duesseldorf agreed to having a chat with me about inclusion and diversity. Academia is oftentimes rather theoretical, which is why I am always interested in being in touch with the “real world”. I strongly believe that in order to produce valuable research results that can be applied outside of our research laboratories we need to uphold a constant discourse with practitioners. Therefore, I was very excited to be granted insight into one of Germany’s most successful companies. 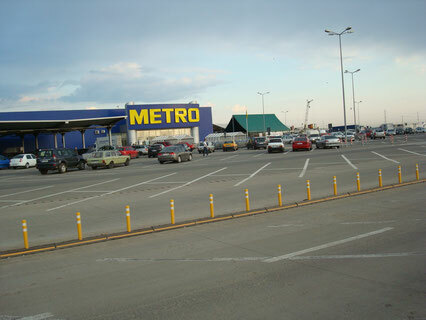 METRO is a global retailer that was founded in the 1960s. With its headquarters based in Duesseldorf, it has since established branches in 26 countries all over the world. In recent years, METRO has acknowledged the need for a department specifically dedicated to improving the company’s diversity. Since 2013 the Duesseldorf headquarters sport a cultural change section, which focuses (among other topics) on inclusion and diversity. The department currently comprises four employees from a variety of backgrounds (psychology, diversity, politics, ...). In conversation with Adriana Ross, (Director Change & Transformation), and Nils Surges (Expert Change and Transformation) the overall vision for the company became very clear: to create an inclusive work environment that suits and fosters the careers of different demographics. The main focus at the moment lies on gender; the aim is to encourage more women to take on leadership positions. Adriana and Nils talked me through some of their initiatives. First, they have recently started “Home Office” which offers parents the opportunity to structure their work hours more flexibly. Every now and then, parents can apply to work from home for a day or two to accommodate their childcare responsibilities. Having children and a career is thus facilitated, which is particularly beneficial for women at this point in time. Second, managers will soon be required to watch a video clip on unconscious bias before making hiring decisions. This video alerts managers to biases that they might hold against minority groups, and how these could affect their hiring decisions. Bringing potential biases into manager’s awareness might render their hiring decisions less biased. Third, METRO recently put a mentoring program in place which pairs junior employees with senior employees. In monthly meetings, the junior employees thus receive one-to-one advice on how to advance their careers. Whilst the programme is open to all employees, it is specifically targeted at women. For women, these mentoring relationships might simulate relationships that men experience more naturally through the old boy network. Lastly, METRO collaborates with the LEAD network on a study on female leadership. Preliminary results have shown that the workplace is still biased against women such that women have to be better, more ambitious, and less sensitive to achieve the same career outcomes as men. Whilst Adriana and her team are slowly making progress, they also report many barriers along the way. People without children, for instance, sometimes find it hard to understand the new “Home Office” regulations. Other diversity projects meet scepticism, too. Specifically women quotas is a topic that required a lot of explanations beginning. Progress is often slowed down as company heads are simultaneously responsible for many other domains so that the diversity agenda is often neglected unless it is pushed continuously. Also, moral reasons rarely convince in business, and so marketing and economic argumentation needs to be improved. One obstacle I noticed was a looming gap between research and practice. None of the initiatives described above has been based on actual research results. The team reports that practitioners rarely read academic papers (“too abstract and not applicable to the real world”), and that business people tend to trust their own experiences more than statistics. As a researcher with the aim of making a practical impact it was sobering –if not entirely unexpected– to hear this. Especially this last part of my conversation with Adriana and Nils confirmed my belief that both practitioners and researchers need to attempt to work hand-in-hand more often. Whilst I would like to encourage practitioners to draw on scientific results more frequently, we as researchers need to do our part, too. We could organize and attend more interdisciplinary events. We could be more informed about contemporary problems that companies face and need help with. We could disseminate our results in ways that are more accessible to non-academics.